No, that’s not how you do it! Using compressed air to blow eraser shavings, or the simpler equivalent of blowing them off one’s desk… only move eraser shavings to the ground, where they will remain until you vacuum the floor. I don’t call that cleaning. In the case that you don’t have a breadcrumb-type, portable handheld vacuum, try following my advice. Roll one gently across the surface of a desk, and they’ll clean up eraser shavings as well as some of the dust. Peel off the sheet when you’re done and the eraser shavings will follow, into the trash, where they belong. 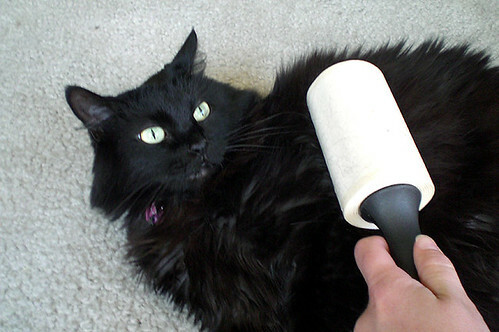 You can also use your favourite lint roller to remove dust and particles from your mousepad!